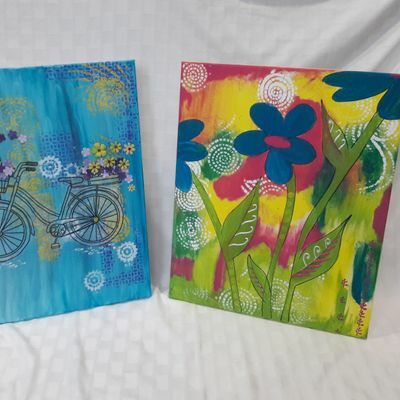 Love mixed media art but don't know where to start? This is the class for you! 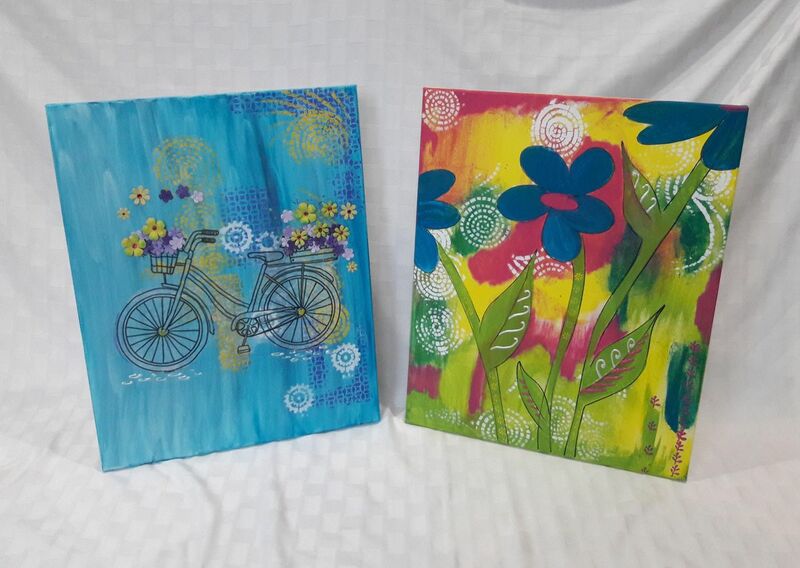 We show you several fundamental mixed media techniques, provide LOTS of cool supplies, and let you play and create on your 16"x20" canvas board! HOMEWORK PRIOR TO CLASS: Think of your "theme"....do you love flowers, the city, coffee...? Having a theme in mind before starting your project is very helpful. Have a specific theme in mind and want to make sure that we have relevant supplies? E-mail us at least 48 hours prior to class at U2hpbnlTcXVpcnJlbEFydCB8IGdtYWlsICEgY29t with your idea, photos, and/or questions! How can I contact the organizer with any questions?You may contact Shiny Squirrel Art Studio at;U2hpbnlTcXVpcnJlbEFydCB8IGdtYWlsICEgY29twww.ShinySquirrelArtStudio.comwww.Facebook.com/ShinySquirrelArtStudioWhat's the refund policy?Refunds are allowed up to 30 days prior to the event. After that time, tickets ARE transferrable, but new ticket holder(s) must bring original ticket(s) with them to the event. 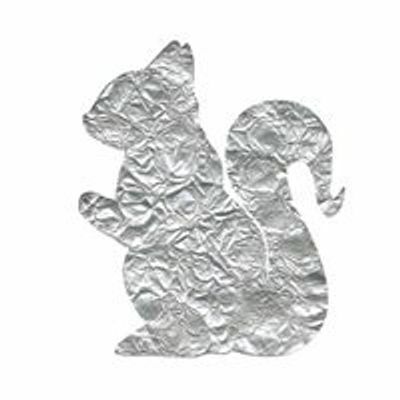 Shiny Squirrel Art Studio Inc.